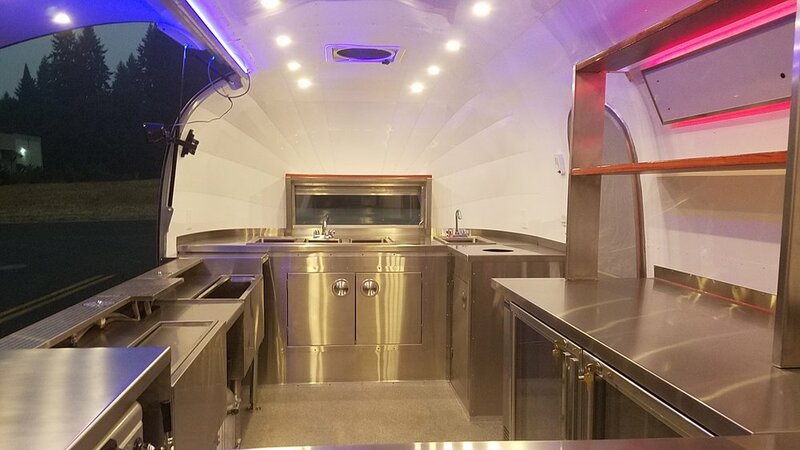 Airstream Bar - Silver bullet trailer inc.
New 1966 Airstream BAR is offered for sale. Ready for your business. All NEW Heavy-duty frame, two new axles. Electrical stabilizing jacks. All new components and systems. 30 Amp service. Commercial flooring. New white interior factory coated skin. 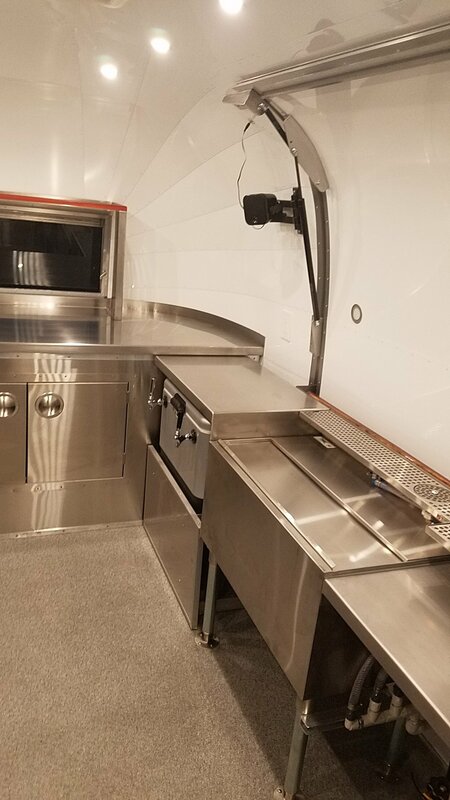 Custom Stainless Steel interior cabinets and countertops. 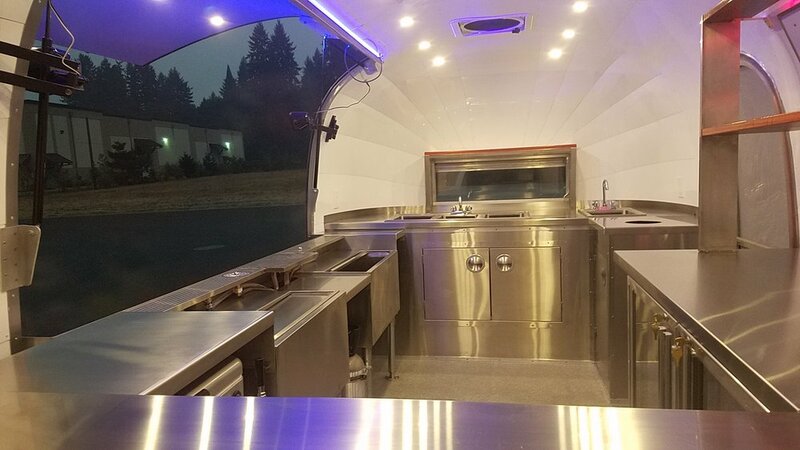 3-compartment and hand wash sinks. Electrical water heater. 40 gallons fresh and 46 gallons grey water tanks. 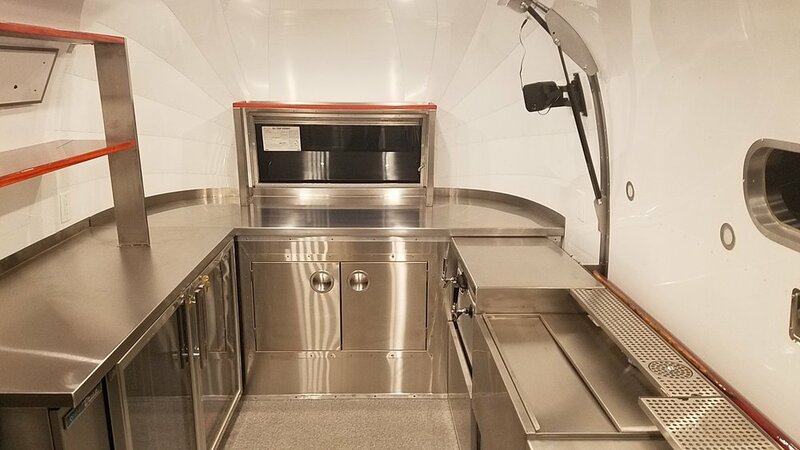 61" True stainless back bar refrigerator. Two 30" ice bins, three drip trays, two are with glass rinsers. Padauk epoxy-coated drop down customer counter; stainless steel and padauk epoxy-coated display shelves. Jockey box with coils and CO2 tanks for two draft beers with interior and exterior beer faucets. Electrical stabilizing jacks. 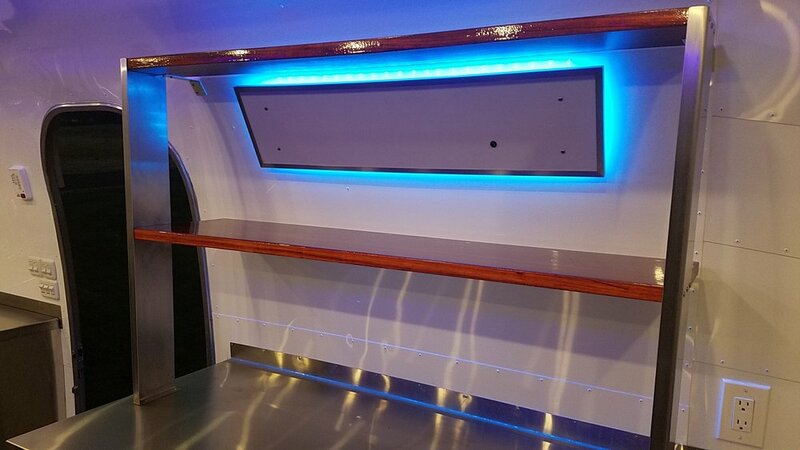 Custom interior lighting. Two chalk message boards. 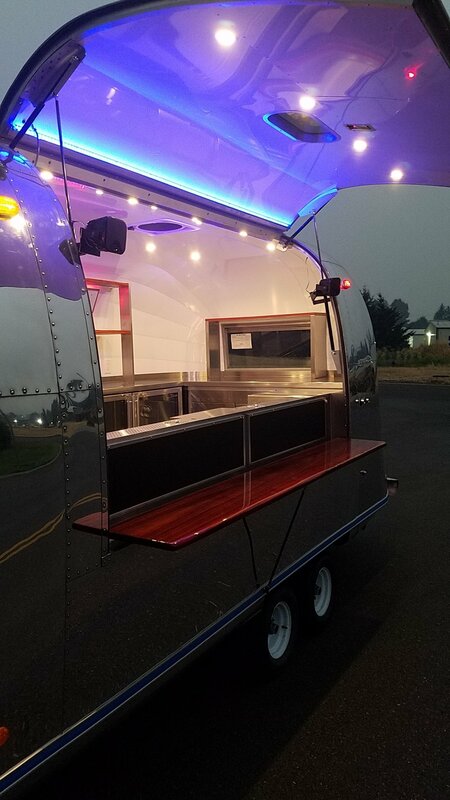 Big 86"x56"street side opening for serving. Built-in music center with movable external speakers. Detailed build is available to potential clients. Can be used as alcohol or non-alcohol bar for weddings, parties, private or corporate events. 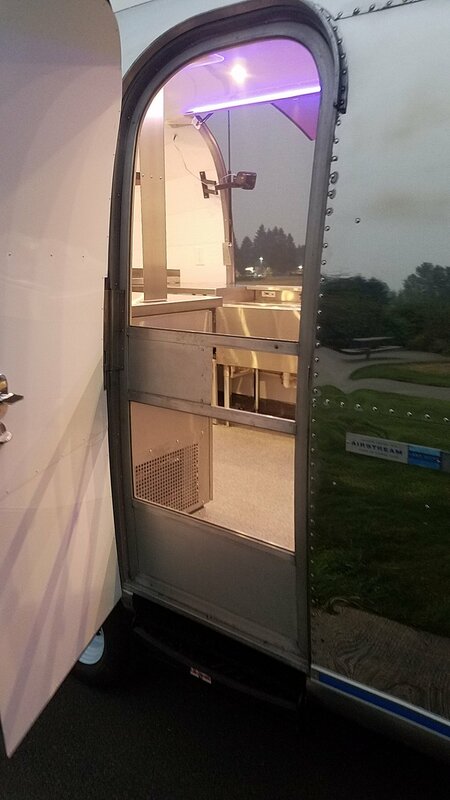 Can be outfitted to be a coffee bar as well. Commercial bar for generating great experience and making money. Width at floor level is 88"
Width at widest point is 91"
Total weight is 4200 lb.